America is currently facing the longest government shutdown in U.S. history and it is definitely highlighting the importance of emergency funds. As Americans across the nation watch the news coverage on television and hear the dire stories of federal workers struggling, one thing is clear – many federal employees do not have enough money saved for an emergency or unforeseen event. And, it is not just federal workers facing this dim reality as various news stories have reported over the years that more than half of Americans cannot cover 6 months of living expenses should they become unemployed. Others have reported that almost 60% of Americans have less than $1,000 in savings. Track your income & expenses – get a piece of paper and write down how much money comes in every month and what you spend it on. Set an emergency fund savings goal – figure out the total amount of money you would need to save and break it down into monthly increments. Then, to make it easiest, automatically transfer these monthly increments into a savings account on each pay period. Can’t save? Cut expenses – if you truly cannot afford to save, take a good look at your expenses and trim from there. Many experts feel that it is not a matter of how much we are making as a society but has more to do with how much we are spending. (Try ideas like staying in and cooking home instead of eating out, reducing your cable and cell phone bills, etc.). Supplement your income – consider looking for additional work on your time off. Then, use these additional paychecks to fund your emergency account. Save your extra money – are you expecting a tax refund or a work bonus? Did you recently get a raise? Financial experts have also commented on the fact that the more money people make, the more they spend. Why not practice some restraint? Deposit that money into your emergency funds account instead. It’s a great opportunity to increase your savings! Stick to your plan – you’ll get the most results if you stick to this plan long-term. As with many things in life, consistency is key! Instead of focusing on the large amount of money you need to save, break it down into months. 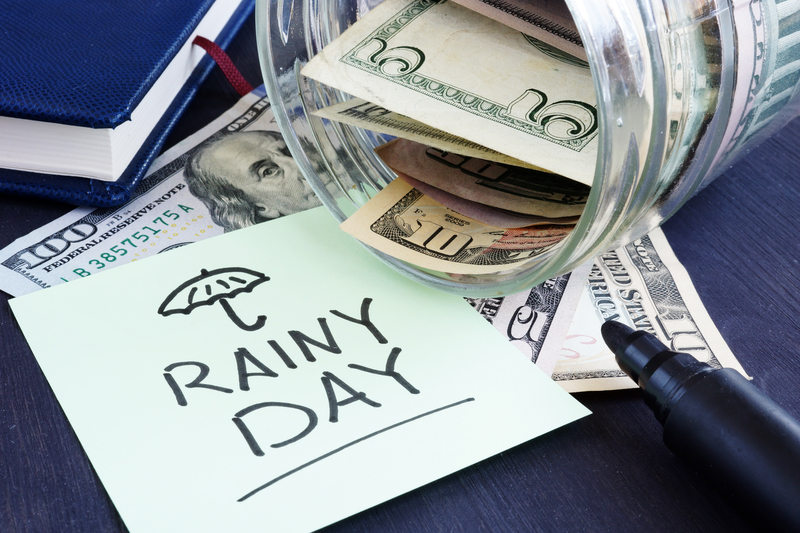 Start cutting back, pinching pennies, and prioritizing your eight month emergency fund. Reevaluate your spending and see if you can contribute even more. Each time you successfully save another month’s worth of living expenses, congratulate yourself and recommit to the next goal. You will start to feel more financially secure as you see your emergency fund grow. While it will take time to build up a full eight month emergency fund, each step that you take brings you closer to success and provides you with a larger financial safety net than you had before.